Little Orchard Self Storage, San Jose’s newest self-storage facility, is open for business. Located at 1833 Little Orchard Street down the street from The Plant Shopping Center, the 100,000 square foot facility features the latest in security and accessibility, as well as the personal touch of an experienced on-site manager. The property was developed by Toeniskoetter Development, Inc., and the new construction was completed by Toeniskoetter Construction, Inc. The security at Little Orchard Self Storage is cutting-edge. Besides a high-tech security and camera system that keeps watch on the facility 24/7, there are also individual door alarms that will alert clients through a customized, downloadable app. Ultra-bright LED lighting illuminates the facility inside and out, adding not just security but energy efficiency. Simple touches also contribute to creating a secure environment, like glass on hallway entrance doors, which enhances visibility. Once inside, clients will appreciate how easy it is to access their units. The main driveway is 35 feet wide, providing plenty of room to maneuver. Short, wide hallways with doors at either end mean that you are never more than 30 feet from your storage space. Good clear heights, motion-sensor lighting, and latches that keep doors open also help make moving easy, as does the vast expanse of polished concrete flooring. 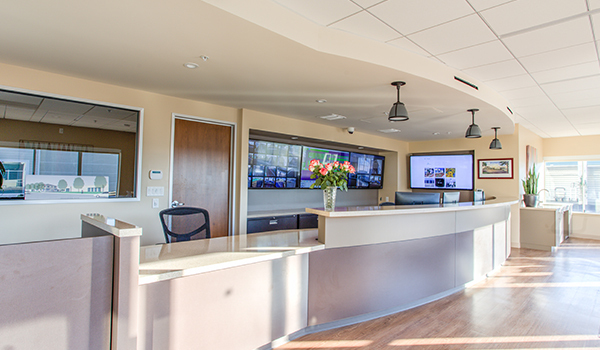 The architect for the project was The Hagman Group, and the manager's office was designed by DesignLink. Little Orchard Self Storage celebrated its official Grand Opening with an event befitting this state-of-the-art facility. It began with a solemn ceremony dedicating a giant American flag and unveiling a stone memorial on the site to the Sons of San Jose, the 142 veterans who died in the Vietnam War. It’s a cause close to the heart of Toeniskoetter Founder and Chairman Chuck Toeniskoetter, himself a Vietnam Vet. 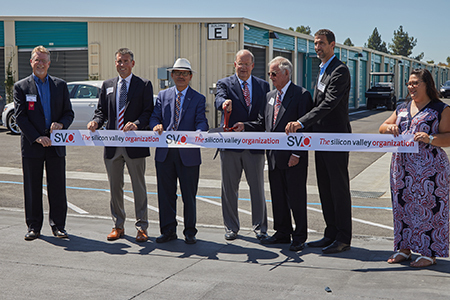 The dedication was followed by a traditional ribbon cutting ceremony presented by the Silicon Valley Organization, the region’s Chamber of Commerce. Trekell points out that it’s not just life events that make self-storage attractive -- business owners are also regular clients. For instance, landscapers or other small businesses that require bulky or expensive tools and equipment often prefer the security and accessibility of self-storage to an unsecured truck or garage. Sales representatives who handle shipments of samples or other merchandise may also choose the ease of self-storage over taking up precious room in a home or apartment. Little Orchard Self Storage makes it easy for these business owners, with wi-fi connectivity and the ability to have items shipped directly to their units. Check out LittleOrchardSelfStorage.com to learn more.